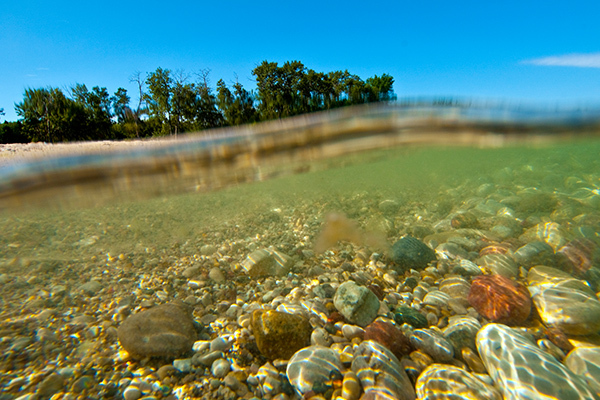 There are a million ways to have an impact on the present and future of the Great Lakes. This year, young people across the region found thoughtful, creative ways to make their mark by supporting the Alliance for the Great Lakes’ work to protect the lakes for generations to come. The kids and stories behind donations we receive each year warm our hearts, and we couldn’t be more grateful. Here’s a quick look at some of the creative ways young people supported the Alliance this year! “Enclosed is a check for $37 that we raised at our synagogue’s sixth grade Tzedakah fair. Tzedakah is the Hebrew word for giving aid, assistance and money to the poor and needy or to other worthy causes. Sixth graders at Beth Emet synagogue in Evanston, IL combined learning and giving to support causes that matter to them. And we are so excited that the Great Lakes made the top of their list. The sixth graders researched local charities to learn about their work and through the project found the Alliance for the Great Lakes. The students presented their findings at their synagogue Tzedakah fair to share what they learned, educate parents and fellow students, and raise money to protect the Great Lakes and support other good causes. We are inspired by this team of young scholar-philanthropists who channeled their faith, ingenuity, and generosity to make an impact this year! At age seven and a half, $40 is a lot of money. Especially when you’ve worked hard for it, setting up shop and selling lemonade on a hot summer day. But that’s exactly what Ethan did. We couldn’t help but smile when we got this letter from a generous young entrepreneur – thanks, Ethan! Collin’s English teacher, David Theune, gave his students an assignment titled, “Words Have Power.” For the project, each student selected a non-profit they admired and wrote a research paper about it. And Collin chose the Alliance for the Great Lakes. Each year, the class votes on the top three essays and the winners receive a cash award to donate to the non-profit they researched. Luckily for us, Collin is a pretty great writer. Big thanks to this innovative teacher and powerful young Great Lakes advocate! 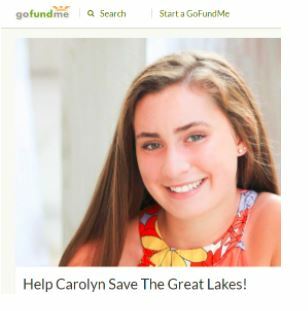 Carolyn loves the Great Lakes. So when she became a homecoming queen candidate at Hickman High in Columbia, Missouri, her choice was simple. At Hickman, homecoming queen candidates have the responsibility of raising money for their favorite non-profit. The Alliance for the Great Lakes was honored to be Carolyn’s beneficiary this year. We commend Hickman and its homecoming queen candidates for their creative approach to philanthropy and thank them for the support! A lifelong passion for the Great Lakes and a concern for their future led Muskegon Catholic Central High School student Jackson Riegler to start his own apparel business. News of possible cuts to Great Lakes funding programs, “motivated and inspired me to ponder how I could help, as a teenager in a small town on the shores of Lake Michigan,” said Riegler. He named his business Oshki, which means “fresh” in the Ojibwe language and has committed to donate 5% of profits to the Alliance for the Great Lakes. That’s some fresh thinking for the Great Lakes! You can help support the Alliance's work, too -- just like these creative young people. Give a gift today to ensure a healthy Great Lakes tomorrow.